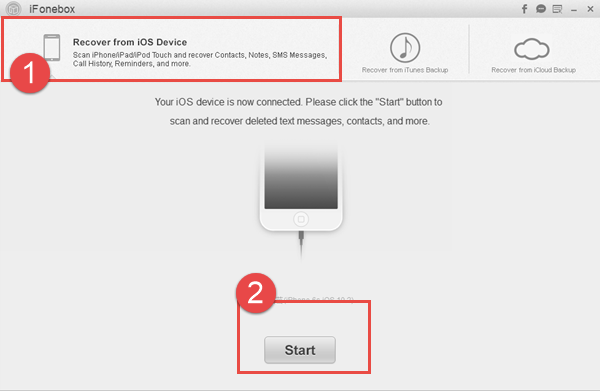 How to retrieve lost WeChat contacts from iPhone 6s? How to retrieve lost WeChat contacts from iPhone 6s? Read this article and you will get a solution to get back iPhone 6s lost WeChat contacts. How to retrieve lost WeChat contacts from iPhone 6s? Some people with iPhone 6s asked me such a question. Now, WeChat has become more and more popular, not only in China, but other countries like UK, so, when it comes to such WeChat contacts loss problems, how to do to get back those iPhone 6s lost WeChat contacts? Keep reading here and I will introduce solutions to fix this WeChat contacts loss problem in details. In order to retrieve lost WeChat contacts from iPhone 6s, with the help from a third party software named as iFonebox, you can get back those lost WeChat contacts as easy as a piece of cake. At present, only iFonebox supports to recover your iPhone or iPad lost/deleted WeChat contacts, WeChat messages and attachments also included. 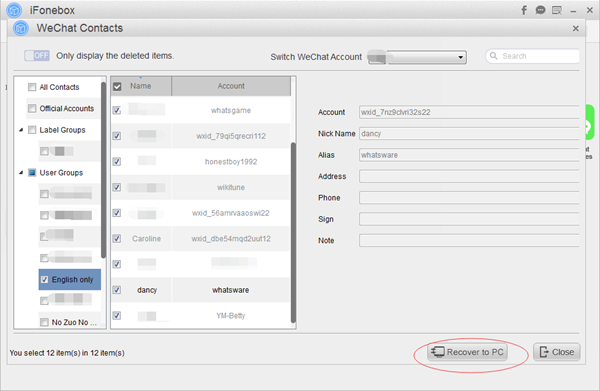 Plus, iFonebox is able to extract your iPhone lost WeChat contacts from iTunes or iCloud backup selectively. Also, other data like contacts, notes, messages, photos, calendars, etc, from iDevice can also be found by iFonebox. Next, I will show you how to retrieve your iPhone 6s lost WeChat messages in detailed steps. There is no doubt that the first thing is to download and install iFonebox on your computer. There are two versions accessible: Windows version and Mac version. Just choose one according to your computer model. After installation of iFonebox, you can refer to the simple steps as follows. Take iFonebox for Windows as example. Step 1. Run iFonebox. Choose Recover from iOS Device mode. Please connect your iPhone 6s to the computer so as to scan and analyze WeChat contacts from it. Click Start button to begin. Step 2. Scan WeChat contacts from iPhone 6s. Just click on WeChat contacts item and start the automatic scanning process. It may take some time to analyze your iPhone 6s WeChat data, just be patient. Step 3. Preview and select your WeChat contacts to retrieve. After automatic scanning, you have the chance to preview and choose your iPhone 6s lost WeChat contacts, and then click Recover to PC button to finish the whole running process. 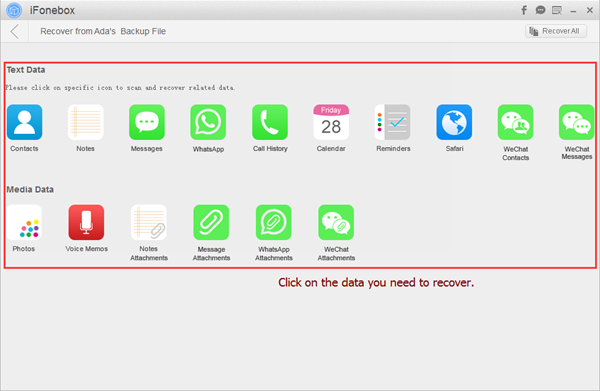 Tips: if you have an iTunes or iCloud backup for your iPhone 6s lost WeChat contacts, you can also choose Recover from iTunes Backup or Recover from iCloud Backup to get back lost WeChat contacts from iPhone 6s. In short, it is quite convenient and functional to use iFonebox to retrieve lost WeChat contacts from iPhone 6s. Here, a video about how to recover lost WeChat data from iPhone is attached to help you better understand.